Sagitta are pleased to present this stunning 2016 BMW X6 M50D in Carbon Black with the exclusive Black and Ivory Nappa Leather Interior. This car comes with Full Screen Satellite Navigation System, Reverse Camera, Surround View, Enhanced Bluetooth with Voice Control, DAB Radio, Fine Brushed Aluminium Trim, M Sport Package which includes M Sport body styling, Park Distance Control, LED Headlights, Anthracite Headlining, Active Security Package, Tracker, Cold Weather Package which includes Heated Steering Wheel, Heated Rear Seats, Heads Up Display, Internet, Harman Kardon Upgraded Sound System, Online Entertainment, Universal Remote Control, High Gloss Shadow line, Privacy Glass, Electric Folding Towbar, Automatic 4-Zone Air Conditioning, Ceramic Finish for Controls, Front Comfort Seats, Soft Close Doors, Adaptive Headlights, Full Beam Assist and Multi Function Instrument Control. 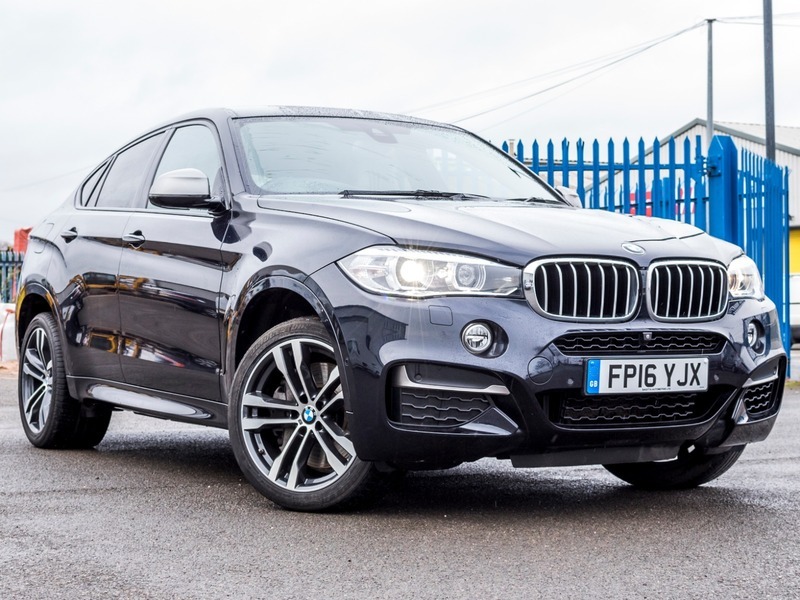 It was just under £80,000 new, service pack included, balance of BMW Manufacturers Warranty till June 2019, Full BMW Service History, 4 Brand New Bridgestone Tyres. It does not get any better, this is a beautiful car with a fantastic spec.